Dr. Valvani is a Board Certified Physiatrist specializing in non-operative treatment of the spine and sports related musculoskeletal injuries. 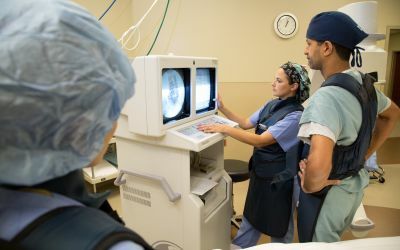 Procedures performed by Dr. Valvani include epidurals, facet joint and medial branch blocks, radiofrequency ablations, joint injections, PRP, and musculoskeletal ultrasound. 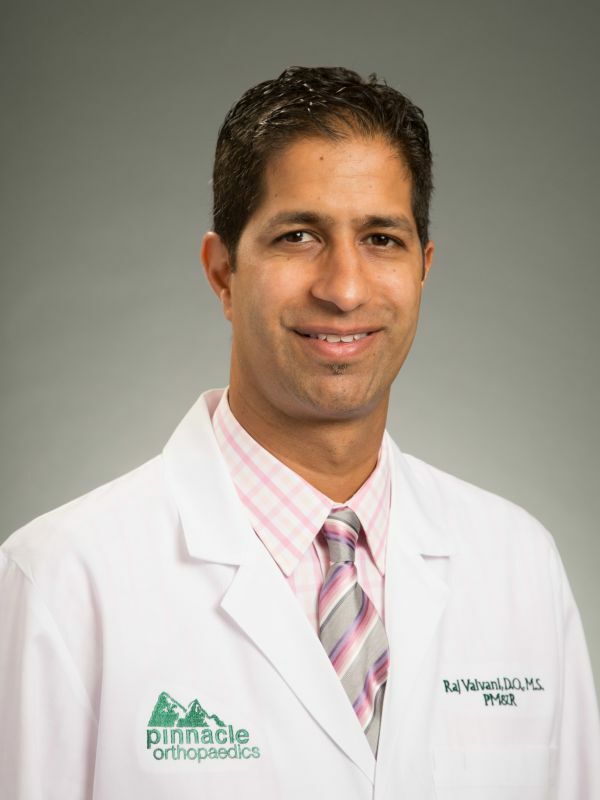 Dr. Valvani received his Doctor of Osteopathy from Michigan State University. 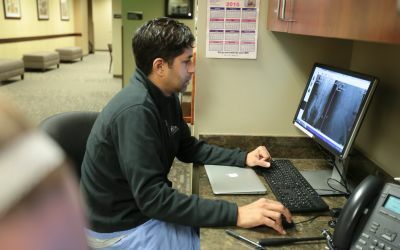 He completed his Residency in Physical Medicine and Rehabilitation at Emory University. He then completed a Sport and Spine Fellowship at Beth Israel Medical Center in New York City. 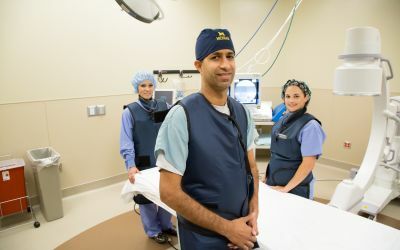 Prior to receiving his Medical Degree, Dr. Valvani began his career as a Physical Therapist graduating from Duke University with a Master of Science in Physical Therapy. Dr. Valvani has received numerous awards including Resident of the Year and Research Project of the Year while at Emory University. He was a medical volunteer for the New York Sevens Rugby Tournament and Harlem Wizards Basketball while completing his Sport and Spine Fellowship in New York City. Dr. Valvani is active in his community and has served with the Special Olympics as both a basketball and soccer coach, as well as a medical volunteer. 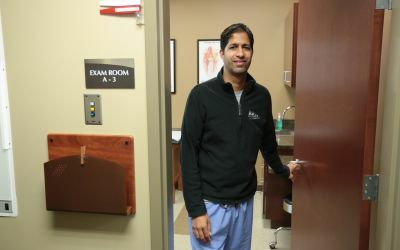 Dr. Valvani lives in East Cobb with his wife and three children. In his free time, he enjoys spending time with his family, coaching his son's soccer team, playing sports, traveling, photography, and scuba diving.